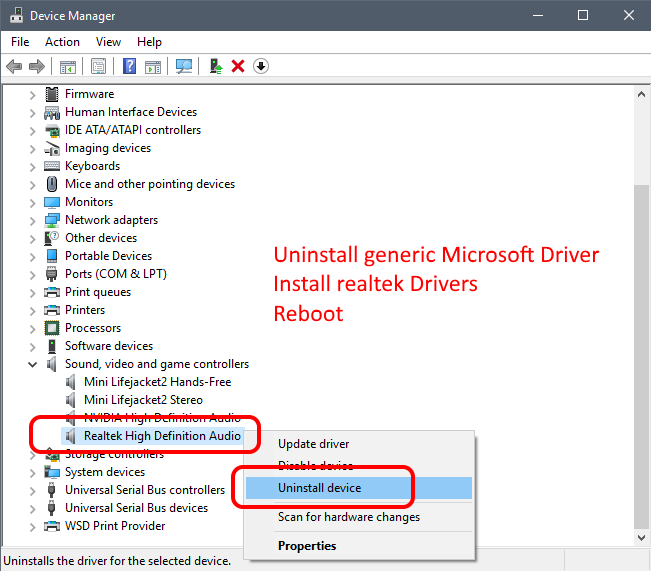 Issue: Attempting to install RealTek Audio Drivers for Windows 10 leads to an endless uninstall/install loop. 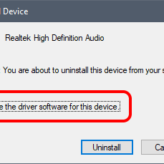 This happens with RealTek audio drivers from manufacturers like Lenovo, Dell, HP, Asus or directly from RealTek . The install loop happens due to the new Windows 10 Driver Updates from Microsoft. 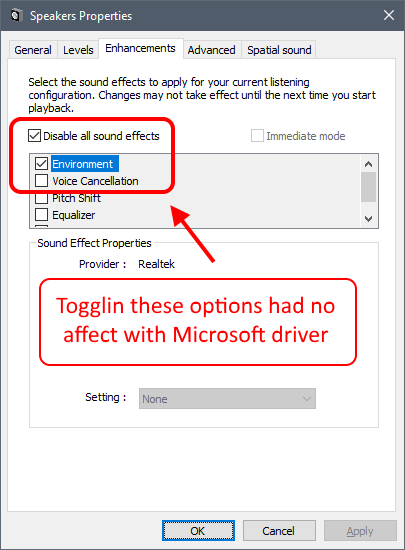 I would be fine with the generic Windows drivers for audio, if they worked… In my case sound was terrible and the only option to adjust audio via the Audio Enhancements feature – which was broken. Choosing any option had no affect. I had bad sound and no way to adjust. 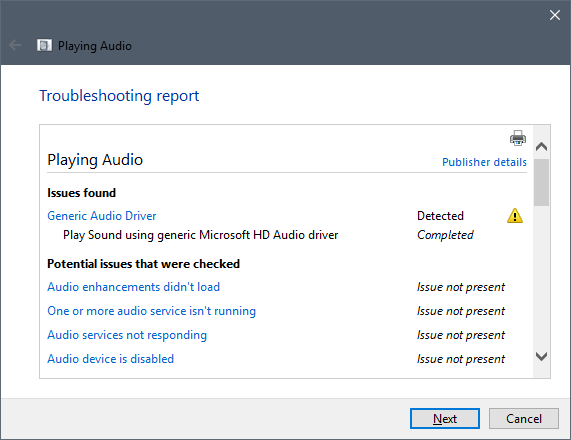 No matter how many times I re-installed the Windows drivers, tried to adjust audio settings or audio enhancements, the result was the same – terrible sound quality. And that, is not why I have these Mackie CR3 speakers! So I tried updating my audio drivers to provide quality sound and control. I used RealTek drivers supplied by Asus for my motherboard and I tried drivers directly from RealTek. And that… is why we are here. 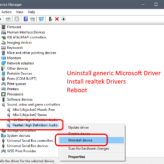 The RealTek installer removes the existing generic drivers installed by Windows Update and requests a reboot so it can replace in use files. After rebooting Windows identifies the missing driver and re-installs the generic driver from the local Driver Store before the RealTek install process launches so… you can probably see where this is going. You can do the dance above all day long or hit the solution below! Right-click the Windows Start button and choose Device Manager. Expand the Sound, video and game controllers node in Device Manager. 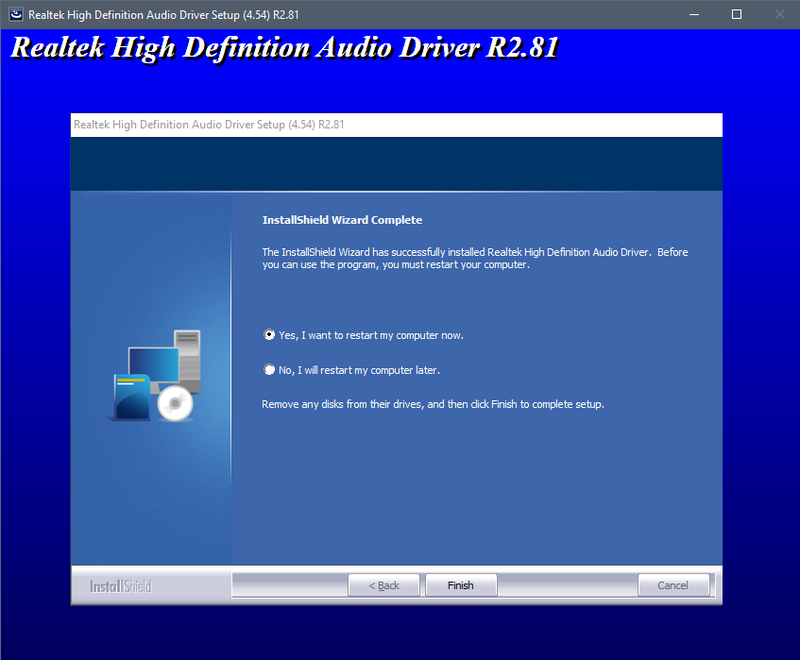 Right-click RealTek High Definition Audio, and click Uninstall. Click the Delete the driver software for this device option to delete the generic Windows driver. Run your RealTek Audio installer and now reboot. Sound, sound, oh so glorious sound!! 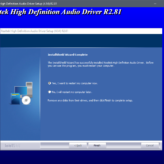 Drivers: Download the latest RealTek Audio driver – here or get the latest drivers from your computer/motherboard manufacturer’s website. Manually: select the Start button, type Troubleshooting, and then select Troubleshooting from the list of results. 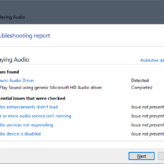 Under Hardware and Sound, select Troubleshoot audio playback. 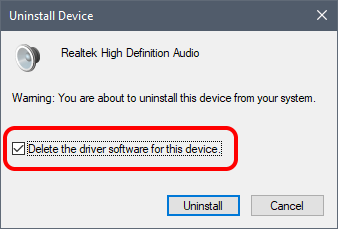 Realtek High Definition Audio is not listed in Device Manager so I cannot follow your instructions. Thank you very much for this useful information. 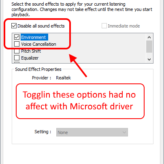 It helped me to solve my problem regarding Win10 audio. Thank you very much! You just buy me a few hours of my live! Just chiming in as another bloke you helped with the endless loop. For me, as soon as I uninstall Realtek driver, Windows immediately installs a new one (even before I reboot). I disabled the auto-update, but this did not seem to help. i just have something called Realtek(R) Audio should i uninstall that since i dont have the Realtek High Definition Audio? I just bought a new pc and wasnt sure what was happening with this loop situation!